A very pretty scene, and one that is familiar to me having lived for many years in Minnesota. But now, I'll stay in Florida! It is a good time of the year to be in Florida. Nice street photo - I think I'm going to "borrow" your idea! 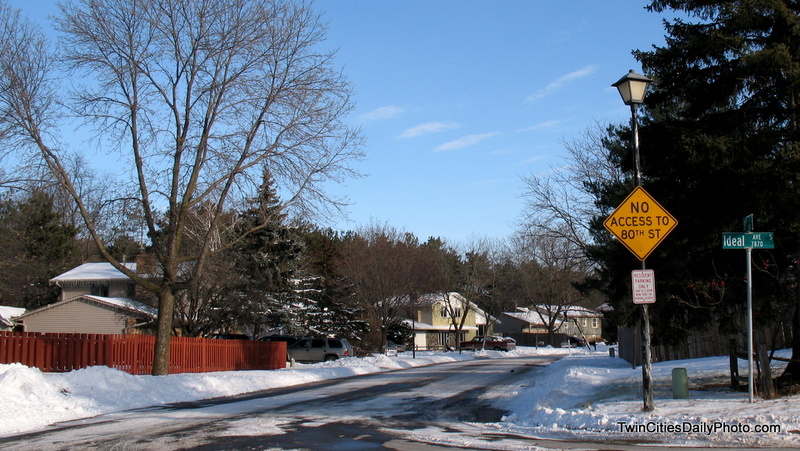 We have nice snowy streets in Eagan, too! The odd thing about this street photo is it looks nearly identical to the street that I live on. My neighbors have a red painted fence in the exact location and the street bends like this one. But I'm around a mile from my home!